We offer a unique 40-hour Laser / IPL Hair Removal Training Program through this website. PLEASE NOTE: The 40-hour Laser / IPL Hair Removal Training Program is the only official training program offered by the Society for Clinical and Medical Hair Removal. This course is not accepted in all states. Please contact your state’s governing body for information on acceptable laser hair removal courses for your area. You have the option of buying these topic bundles separately, or even purchasing individual webinars. However, you get the most of your money by buying the entire 40 hours of training material for the low price of $595 for non-members ($495 for SCMHR members). If you successfully complete any of the training material that we offer, you will earn Continuing Educational Units (CEUs) which may fulfill requirements for practice in your state, and 24 of the hours will count toward requirements for a SCMHR hair removal certification. After you have completed the 40 hours of training material for the full online Laser / IPL Hair Removal course, you will take a 100 question final exam. If you pass the exam, you will receive 40 hours of CEU credit as well as a certificate of completion. This may fulfill legal requirements for the practice of hair removal in your state: please consult with your local Boards for your state laws regarding laser hair removal. 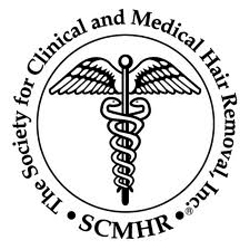 How soon after I become a SCMHR member will I be eligible for the discount on the 40-hour hair removal class?immediately after the payment for your membership has been made. I am a member, but I see the non-member prices. Please email HomeOffice@scmhr.org and they will make sure your account is set up to qualify for the member pricing. I have already purchased one or two of the webinars that are in your full 40-hour course. Can I just get the rest of the course at a discount? Unfortunately, we only allow you to purchase the full course at this time. However, the full course price is only $595 (for non-members), compared to a value of $1000 when you purchase each webinar individually. In the end, you are saving much more money by purchasing the course as a whole. Once I have purchased the 40 hour online laser hair removal class, is there a time limit for completing the coursework and the exam? You have 90 days to complete the final exam, measured from when you start the first video of the online program. In exceptional circumstances you may email HomeOffice@scmhr.org and request an extension. I would like to pre-take the exam just to see how well I will do. You will not be able to take the exam until you have viewed the training material. Moreover, although you can re-take the exam if you do poorly, the exam will be different each time you take it. The exam questions are randomly selected from a pool every time the test is presented. Upon completion of the course, will I hold a certification? You will receive a diploma at the end of the course, showing that you have successfully completed the course, but it is not a certification. For information on certification, contact the home office, or click on the “certification” tab on My Account. I don’t know if I need to take this Laser Hair Removal Course in order to practice hair removal in my state. Can you help? You can contact us by phone or email, and we can advise you. We do not give legal advice but can instruct you on who to contact for the relevant information on how to determine the legal requirements in your state.